While writing to your sponsored child is completely up to you, it does mean so much for a child to get a brief note or photo. It also provides an opportunity to get to know your child better and to see the lasting impact sponsorship has in a young life. Once a year, usually in September, we'll send you a colourful card that you can sign and send back to your sponsored child in time for Christmas. Some people include a brief note and even add stickers or other flat decorations. It's amazing to see the creativity and love in those cards and notes! 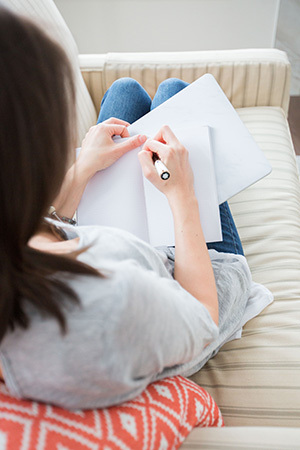 If you'd like to write more frequently to your special friend, please send them a brief note, family photos, a postcard or a drawing of your own. In time, you'll receive a note back – and maybe even a piece of art to proudly hang on your fridge to show your friends. Please avoid subjects that the child would not understand, or that are focused on wealth eg. vacations, purchases, etc. Asking clear questions will also help your sponsored child to know what to write to you. To address your letter, use the child's contact information found in your welcome package. Your letter should include both your name and sponsor identification number, as well as the child's full name and their identification number. For your safety and privacy, please do not include any of your return address information, or e-mail addresses. Please mail correspondence to ERDO - ChildCARE Plus at the address located on your child's profile, or e-mail letters to letters@erdo.ca. Please understand that it may take a while to hear back from your sponsored child. In developing countries, postal delivery can be very different from the service we experience. For instance, roads can be difficult to navigate for several weeks during rainy seasons, children's in-school season might be different from ours, etc. We will also need to have your letters translated into the local language, so there are several steps between when you send your letter in the mail, and when it arrives in the eager hands of your sponsored child. 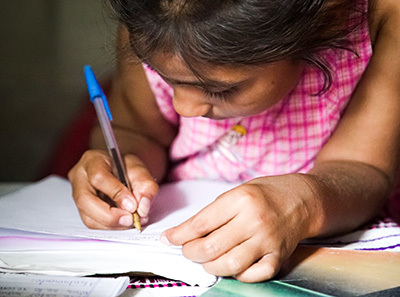 Children write their letters at scheduled times by their teachers or CCP field workers. Many children are not familiar with letter writing, so this may be done as part of the school curriculum to learn reading and writing skills. In other cases where children are unable to write their own letters, CCP workers will sit with the child to help them write down what they want to say. Many children will draw pictures, or share what they are able to do. Many greetings to you in the name of Jesus! I am now 14 years old and in grade 8. I like to study math, English and biology. During the holidays I help my parents at home by bringing water and keeping the house clean. My favorite foods are ugali, rice and potatoes. Living conditions are difficult now because the weather has been hot and dry and there is no rain for crops. So there is not enough food for everyone and things are expensive to buy. Thank you for your help each month. It is a blessing to me. I am happy to write this letter to you. I would like to say thank you for the support you are giving me. I am in grade four. We are going to write our exams in November. Thank you for the bag. How is your family? We are fine.